Reporting to Jay Shannon, Director, Genetic Programs & Solutions, Jacob will implement and monitor Semex’s Jersey product strategy, aligning with changing international market demands. 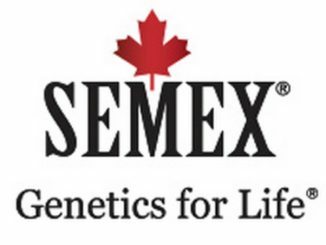 Additionally, he will work with the Product Development Team to develop longterm relationships with genetic suppliers globally, coordinate Semex’s internal female program and provide integral product support to foster sales worldwide. Most recently, Jacob was the US and Canadian Business Development Manager for Evolution International, a French AI company. In this role, he developed the organization’s first North American sales network, built relationships with associations, finalized research partnerships and developed key infrastructure for additional employees. Previous to that, he was Accelerated Genetics’ Jersey Marketing Specialist, linking the marketing, sales and genetics teams to maximize communication flow and effectiveness. A lifetime Jersey enthusiast, Jacob grew up on his family’s Jersey farm before receiving his animal science degree with an emphasis in dairy and minor in political science from the University of Wisconsin-Platteville.